Backups Matter - your business depends on them. Your business relies entirely on data! Client data, supplier data, accounting data. Therefore, without it, your business will simply not exist. Ensuring that this data can be restored in the event of an issue is absolutely essential. First of all, some questions to answer about your backup. Do you have a backup solution in place at all? Have you included your critical files? Does your backup run often enough to capture all changes made? Have you setup an alert to notify you if a backup fails? Do you have a full system image of your server(s) to allow for quicker restores? Do you have an easy to follow restore process for when the need arises? 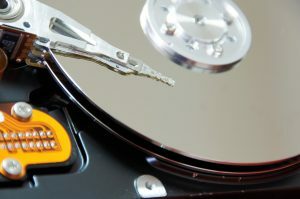 You are putting your data at risk when you leave an external hard drive connected to the device you are backing up. As a result, the backup on this hard drive will be worthless should your building have a fire, flood, ransomware or suffer a burglary. You can find many options online, which normally charge per GB/TB backed up. Ensure your data is encrypted and secure. Verify the data is stored across multiple locations. Taking the physical hard drive offsite via a trusted employee. GDPR guidelines require data that is taken offsite to be encrypted. Utilising a business grade fireproof/waterproof safe to keep physical backup drives in. Especially relevant to Invest in a unit that provides up to 2 hours of protection. Access to the safe must only be for a few key people. The final step to consider is whether you have verified the backup works. Have you tested that you can restore files from it? Don’t ever assume everything is ok! Testing your ability to restore from this data is essential, consequently this would provide peace of mind that your business could be functioning quickly in the event of an issue.